Starwood Hotels & Resorts Worldwide, Inc. today announced it has signed an agreement with Spotlight Group Holdings Pty Ltd – to debut its leading-edge Aloft brand in Melbourne, Australia’s cultural capital. Slated to open in early 2019, the new build 176-room hotel will form the centrepiece of a state-of-the-art mixed-use development located at 402 Chapel Street in South Yarra, known as “402 Chapel,” designed by international architect Tim Kobe from the strategic design firm, Eight Inc. Located 40 minutes from Melbourne Airport at the heart of South Yarra on Chapel Street – Melbourne’s trendy shopping and entertainment strip – Aloft Melbourne South Yarra will be steps away from the city’s celebrated restaurant, bar and arts scene, as well as the central business district and transportation network. Other nearby attractions include Melbourne’s favourite beachside suburb, St Kilda; Melbourne Cricket Ground; and the popular Prahran Market. 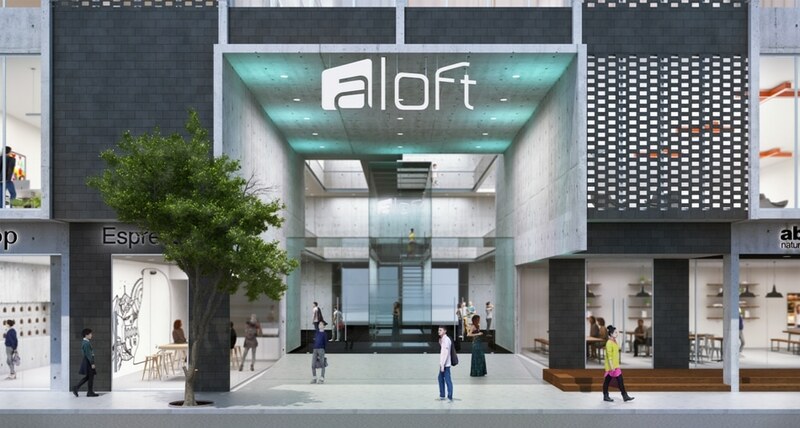 Aloft Melbourne South Yarra will offer 176 guestrooms, all featuring the brand’s signature high ceilings, oversized windows and ultra-comfortable platform bed, as well as large walk-in showers with complimentary Bliss Spa® products. The hotel will showcase the brand’s signature Re:mixSM lounge and W XYZ SM bar, providing guests with buzzing, atmospheric public spaces where they can catch up on emails, read the papers, play a game of pool or grab a drink with friends. Guests will be able to re-energise in the Re:chargeSM fitness centre and grab a bite to eat at Re:fuel by AloftSM a one stop, 24-hour grab-and-go food and beverage area. The hotel will also feature a roof top terrace, swimming pool, parking facilities and 300 sqm of function rooms, all equipped with the latest generation of audio-visual hardware.